Manufacturer & Supplier of Ladle Sleeves. Our product range also comprises of Melting Furnace, Rotary Furnace and Pollution Control System. 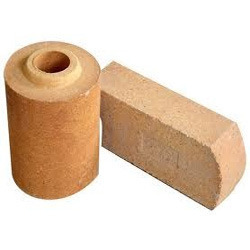 We are instrumental in manufacturing, trading and supplying a wide range of Ladle Sleeves that is used in various machinery. In order to manufacture the offered product, we make use of good quality metal alloy and latest technology. The offered product is available in various specifications to meet the diverse needs of the clients. Before delivering this product to clients, our quality controllers thoroughly test it on various parameters.